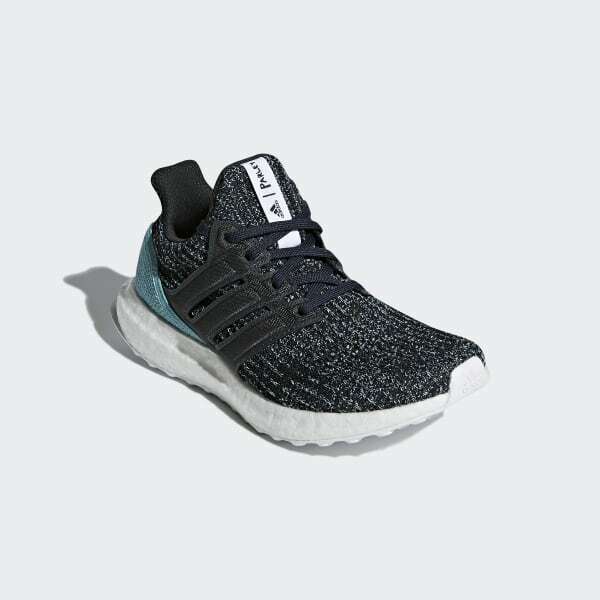 These juniors' running shoes feature an adidas Primeknit upper made with Parley Ocean Plastic™, so you can run with purpose while helping make the world a better place. The upper has a sock-like fit that adapts to the changing shape of your foot as you run. Boost fuels every stride with energy. adidas is dedicated to creating products in ways that minimize their environmental impact. 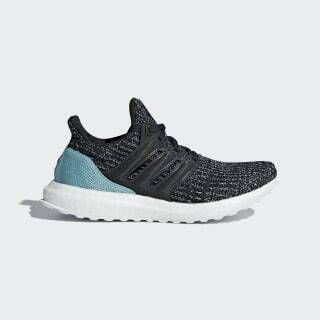 These running shoes are built with Parley yarn that is woven from Parley Ocean Plastic™. Parley Ocean Plastic™ is made from recycled waste, intercepted from beaches and coastal communities before it reaches the ocean. Fitcounter molded heel counter provides a natural fit that allows optimal movement of the Achilles; NFC chip in heel counter of right shoe: Scan with your mobile phone to learn more about how this shoe helps to protect the oceans.